Usha: Thank you EC for giving me this opportunity. My blog Veg Inspirations is almost 2 years old, it turns 2 this May. I started the blog with an idea of sharing some of the healthy recipes that I make in my kitchen. I have always been very health conscious but in the last few years I have really ramped up my efforts to eat right. I make a special effort to use healthy ingredients like oatmeal, barley, ragi, quinoa in my cooking now and I try and cook as low fat and healthy as possible. I find that there is no better way to include healthy grains in our diet than to use these items in our usual day to day recipes such as idlis, dosas, soups, bread or even cookies. When it is seamlessly incorporated in our daily food, we never notice that we are eating something healthy and it becomes much easier to maintain healthy eating habits and a healthy lifestyle over a long period of time. I blog about the simple healthy day to day recipes that I try in my own kitchen and that is liked by my family and friends. Usha: Food blogging happened to me quite by chance, I was always been trying out new dishes and new ideas in my own kitchen and one day it suddenly struck me that a blog would be a good place for me to record some of these experiments. My husband also encouraged me a lot to give it a try and I decided to take the plunge. Once I started blogging, I got completely hooked on to it and now it has become a part of my life. EC: You have a lot of vegan recipes on your blog..How do feel cooking vegan food and do you wish to turn completely vegan in the future..If so why ? EC: You seemed to have tried a various Indian regional cuisines and International cuisines as well..Which is the simplest of them all and which is your favourite ? 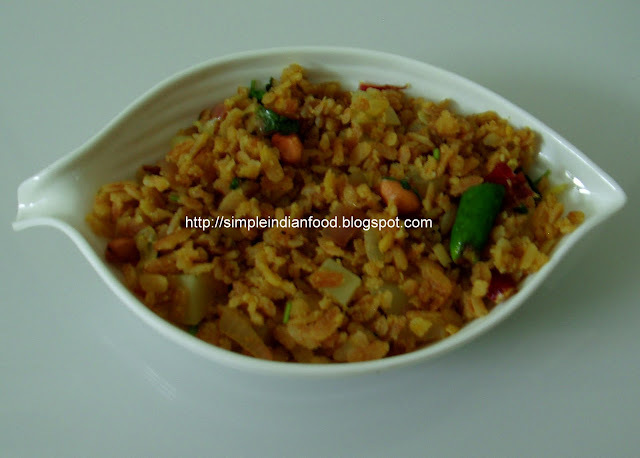 Usha: I find most recipes, both Indian and International simple. As to favorites I have to say that since I have grown up eating Indian food, I find Indian cuisine to be the most comforting. Usha: My recommendation for a first time baker would be to start baking with something simple. Something like this wheat barley cracker which is as simple as making roti or this basic simple pav would probably be a good place to start. At the beginning when you are new to baking I would suggest sticking close to the recipe, deviating very little and keeping the proportions as much as possible. After getting the hang of it and understanding the role of each ingredient in the final product, it becomes much easier to create entirely new recipes and making major changes to existing recipes. EC: What are your recipe sources ? Usha: Some of the recipes on my site are ones that I have learned from my mother in law, some from friends and other members of my family, some from books and some that I create entirely on my own. Most times these days, I just kind of create recipes from the top of my head, depending on the ingredients I have on hand. EC: What important changes has blogging brought in your life ? Usha: One of the most important facets of blogging is this wonderful blogging community that I have gotten acquainted with, there are so many wonderful bloggers out there who are creative and who share their passion, their ideas and spend time visiting sites and in encouraging others too. The other thing is that even though I have always been quite open to experimenting with food, I find that blogging has helped me to push my boundaries a little more and become a little more daring with my experiments in the kitchen. Meet Vidhya from Vidhu's kitchen this week in the Budding blogger series. Hardly 2 months into blogging - yet variety food on her blog..Dont miss her Guava sorbet recipe.. 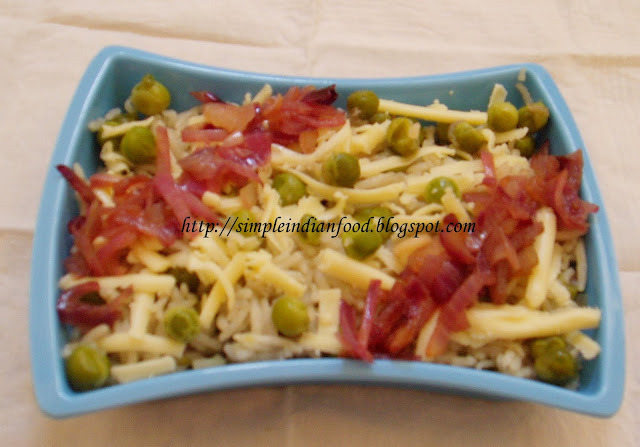 Although I am blogging since Aug'09, I started posting recipes from december onwards. .. I am a house wife with 2 kids.. I started cooking when I was 15 ..it is my passion.. My husband encourages me a lot to try new recipes which I usually gets from magazines, net..You can find vegetarian recipe varieties in my blog. My mom is an excellent cook. So I too got interested in trying various recipes..Hopefully I will contribute my best and pls encourage me with all your comments. 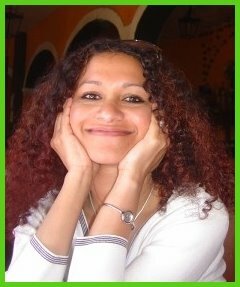 Meet Padma of My kitchen this week in Budding blogger series. She is almost nearing the mark of 100 recipes on her blog and has a good collection of variety food on her blog. First of all I would like to thank “Simple Indian food” for promoting new bloggers. I have been cooking for past 2 years, and in the initial days I felt like I was just cooking because I have to cook. When I was in my in-laws house for the first time after i got married, my mother-in-law asked me to make Tamarind Rasam and I didn't even know what all we use for Rasam. Some how I managed calling my mom and prepared that dish. After coming here to USA, one day my husband asked me to make Tamarind Rice, and I put sugar instead of salt ( as both looks same). That was when I took cooking serious and luckily I found vahrehvah.com. I spend my whole day browsing some Indian cooking blogs and sites. I would like to say, people who inspired me to cook are VahChef Mr. Sanjay Thumma, and My Husband Mr.Datta. We are by birth vegetarians and usually I cook country side vegetarian dishes of Andhra. My Husband loves to have South indian food. So most of the time I choose my dish from south indian cuisine. I am full time home maker and I started blogging just to spend some quality time everyday. Now it has became my full time job and I am loving it. Always I make sure to give quality content to my blog readers and detailed step by step procedures along with photographs. Puree the tomatoes and onions and keep aside. Heat oil, add cumin seeds. When it splutters add the puree and cook for 2-3 minutes till the raw smell goes off. Add turmeric powder, red chilli powder, garam masala powder, coriander seeds powder, cumin seeds powder and salt. Add water - use the water used to cook the lobia. Cook for 5 minutes and add the cooked red lobia. Mix well and cook for 5 more minutes. This is a fasting special snack that is popular in North India. Heat little oil and fry the sago pearls in it. Drain excess oil in a tissue paper. Fry the groundnuts, cool and remove the skin. Break into half. Peel the skin of potatoes and chop into very fine strips. Soak them in water for 5 minutes and wipe off well in a clean towel. Fry them in hot oil till crisp and golden brown. Mix the fried sago, peanuts, potatoes, sugar and salt well. Serve. I started off blogging just a few days ago and it is encouraging to see Indians and NRI blogging about their culinary experiences and adventures. I am as young as 22 and got married pretty early last year. My mom is one of those cooks where people go " Ah! you got to be a fabulous cook because you mom is! " The truth was I had never entered mom's kitchen to help her or to see how she did it. I so regret that. But on the positive side, Mom always knew I had good if not great taste buds. My mom loved to cook for me specially out of all people in a household of 6, because I could say exactly how it is and what is in it. We like to know how we did from someone who knows right. I love vegeterian food and I don't think anyone can treat vegetables like Indians can. I love all kind of cuisines but when it comes to vegeterian, you got to go Indian. My blog focuses mainly on Indian food and how you can go around the world in just the same Indian kitchen. Its about how you can enjoy great food, wherever you live with a little of that and a little of this. Specially in a world where everyone raves about globalization, sometimes I still can't find the basics of ingredients. Sometimes when you do, they are too expensive and you have to grasp and say " Outrageous " ! So does that mean you give up? Well, no - you go around the world the other way. Thats what Journey Kitchen is about. EC: Tell us something about yourself. How do you manage your blog and family ? Vaishali: I've been writing Holy Cow! for just over two years now. The blog is a result of three of my great passions-- eliminating cruelty toward animals, writing, and cooking delicious food, in that order. I have always loved animals but I thoughtlessly ate meat and milk products almost all of my life. When I got involved with animal rescue, I realized that the dogs and cats I was saving were no different from the chicken, goats, pigs and cows who were suffering lives of abject terror and cruel deaths in factory farms which supply most of the meat and milk we consume today. So I gave it all up, but I was more determined than ever before to eat well. I started to experiment with vegan cooking and baking and found that not only was it an easy transition, but everything I made was better tasting and better for me than anything with animal products in it. Through my blog, I wanted to share this discovery and hopefully get readers thinking about eating compassionately. I work full time and I have a huge family-- my husband, Desi, (who shoots all the pictures for Holy Cow!) and my three dogs and two cats, all rescues and all wonderful, so keeping up with the blog definitely requires a lot of juggling. But when you love blogging as much as I do, you make time for it. My posting schedule changes based on how busy I am at work or at home, but if I feel myself slackening, I remind myself that there are readers who look forward to seeing new material on the blog-- even my long, rambling posts on animal issues and things unrelated to cooking :). EC: Who and what inspired you to start food blogging ?? How did you come up with the name of the blog ? Vaishali: I was seeing a growing number of food blogs on the web, and there was one I really liked-- Nupur's One Hot Stove -- because her recipes gave me a chance to reconnect with my Maharashtrian heritage. (My mom, who died when I was seven, was a Maharashtrian.) But I didn't think about blogging myself until much later because I had a very busy career as a journalist, and writing a blog seemed like too much work. Desi, who is the wittiest man I know, came up with the blog name which is a tongue-in-cheek play on the Hindu belief that cows are holy even though dairy cows in India are among the most exploited and abused animals. The dangerous practice of factory-farming dairy cows in inhumane conditions has migrated to India. In tabelas, which have replaced family dairy farms all over the country, cows and buffaloes stand all day in their own feces and suffer from untreated diseases. They are confined in small stalls where they can barely move, and are pumped with hormones to make them produce more milk. They are forcibly impregnated so they will keep giving milk. The average life of a cow is 14 years, but a dairy cow is killed for meat and leather at the age of 4-- even in India. So anyone who thinks that by buying milk they are not contributing to animal cruelty and death is sadly mistaken. And through Holy Cow! I try -- gently-- to educate readers about this. Vaishali: It has definitely changed my life for the better. I always loved to cook, but when I became vegan and started to share my recipes, I became more experimental. I found that instead of restricting my diet, my new lifestyle as a vegan had opened me to all kids of amazing and healthful new ingredients. Not only did I feel better about leading a compassionate life, I was also healthier. My blog was my way of reaching out to anyone who would listen and say, hey, you might enjoy this too if you gave it a chance. Through my blog I also met lots of readers and other bloggers who I really grew to like (one reader, Roshani, who also lives in Washington DC, is a close friend now after we met through the blog). Ever so often a reader will write in and say that Holy Cow! inspired them to give up milk or eat less meat, or at least to start thinking about it, and it makes me happier than I can say. EC: Have your recipes been copied anywhere without your permission..How would you deal with plagiarism ? Vaishali: Plagiarism is a huge problem for bloggers, and of course I've run into a few copycats-- two just recently who copied my vegan challah bread recipe. I usually write to the blogger/writer asking them to take down the recipe or photograph or to credit Holy Cow! and some will do so, but there are others who refuse to budge. I believe there are some avenues, like writing to Blogger or Wordpress to complain about the plagiarizing site, but I haven't really tried that to see if it works. When I cook, I am always mindful of the fact that the food we eat is the foundation for our health. Most of us are careful about what we put down the garbage disposal, so shouldn't we have a higher standard for our bodies? With everything I cook I try to ensure that it is not just healthy but well-balanced nutritionally. I find cooking and eating the Ayurvedic way fascinating because it talks about balancing flavors and eating to serve your particular body type, which is great. EC: What are your recipe sources ? Do you cook specifically for the blog ? In the beginning, I would share what I had cooked for my family on my blog, but now I consciously experiment more so I can post interesting recipes for my readers. I also get recipe requests from readers sometimes that I try my best to fulfill. Vaishali: Being connected with-- and feeling close to-- a number of people I've never actually met, and probably never will. Food bloggers, and some of our readers, are a rather close group and after a while people start to feel like old friends even though you wouldn't recognize them if you saw them on the street. There's something weird but wonderful about that! I am also constantly surprised by the generosity of all the creative food bloggers out there who share their own recipes, including those passed down through the generations in their families. It's a gift because I have run into people (even some I know well) who will simply refuse to share a recipe saying it's a family secret or something like that. I find that odd because if you have a great recipe, why not share it so everyone else can enjoy it too? You know, make the world a more delicious place. Food bloggers really get that. Vaishali: It's hard to come up with just one, but for reasons of taste, sentiment and popularity, I'd choose My Dad's Not-Mutton Mushroom Curry. The inspiration for this dish was a meat curry my father would cook for the family on Sundays when I was growing up, and which I loved. It also is a great example of how to go meat-free without sacrificing the flavors you love. Soak the rice for 1/2 hour and cook with salt, cloves, cinnamon, green chillies and bay leaf till soft. Keep aside. Heat oil, add cumin seeds. When it splutters, add chopped onions. Fry till it changes colours and add cooked peas. Add cooked rice and mix well without breaking it. Finally add grated cheese and mix well. Garnish with more cheese and fried onions. Heat oil, add cumin seeds. When it splutters, add chopped onion and green chillies. Fry for 2 minutes and add turmeric powder. Mix well and add soaked red aval. Add salt, potato and mix well. After a minute, switch off the flame and add lemon juice and coriander leaves. Mix well. Serve hot. P.S. Red poha takes more time to get soft as compared to white poha. So, let it stay soaked for atleast an hour for best results. This week's featured budding bloggers are Vaishnavi and Sivaranjani from Palettes and Palates. The blog is a combination of various activities like crafts, cooking and more..go ahead and enjoy their blog. Our blog is about cooking and arts as the name Palettes and Palates suggest. Our blog is dedicated to our mom who is no more with us. She was not only a great cook she was also an artist. She taught us how a person needs to have an overall development. You are sure to find some really tasty and uniques recipes from around the world. Recipes include indian, snacks, american, continental and more. The arts section has everything from madhubani to warli and varied craft techniques which are explained in simple english so a beginner can do it too. We have also got a woman talk and a finance blog 1 Minute Manager. We also take this opportunity to thank our existing readers and future readers who have been a constant encouragement to us and The Almighty for guiding us through. Heat oil, add cumin seeds. When it splutters, add the onion and tomato paste and allow it to cook for 2-3 minutes till the raw smell goes off. Add turmeric powder, red chilli powder, amchur powder, garam masala powder, cumin seeds powder, salt, kasoori methi and some water as required for gravy. Allow it to boil well. Add the cooked colacassia and mix well. If the gravy is very thin, you can add a thin paste of 2 tbsp gram flour and water. Finally stir in the cream. Garnish with coriander leaves. Serve hot with rotis/pooris/pulav. Thanks a lot everyone for this fabulous encouragement to the event and huge number of entries..Special thanks to Susan for giving me an opportunity to guest host MMLA-19th helping..